Solly Msimanga joins Breakfast with Martin Bester after he announced he is stepping down as Mayor. South African politician and former mayor of The City of Tshwane Metropolitan Municipality, Solly Msimanga, joined Martin Bester on Breakfast to discuss pertinent issues in the country, as well as the capital city of South Africa. Msimanga was sworn into office in 2016 - all thanks to a coalition with the Economic Freedom Fighters (EFF). This after no political party managed to secure an outright majority at the polls in Tshwane. Msmimanga also Martin Bester he has never had the famous Mayor chain before. He has never seen it nor has he worn it. 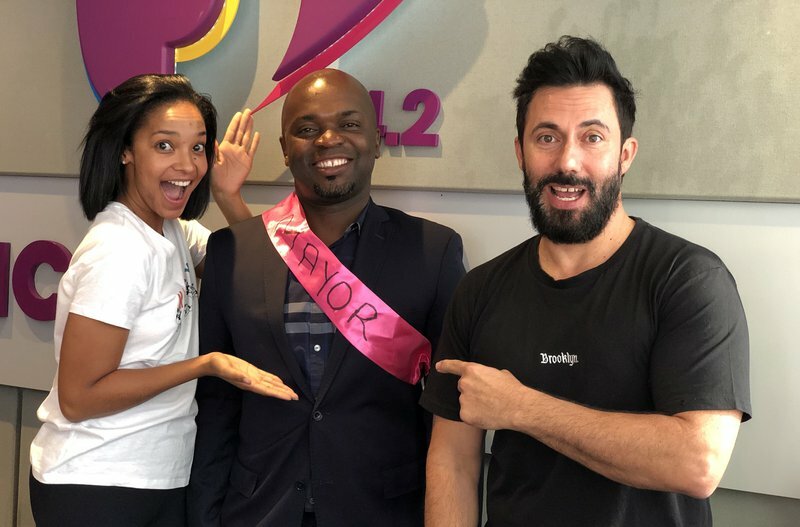 Martin Bester and Liesl Laurie made a plan and gifted the Mayor with a pink sash!